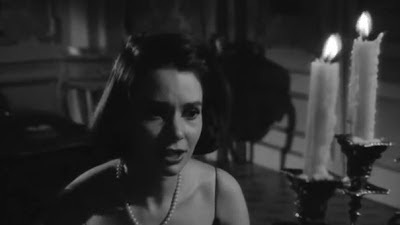 "Scream of Fear" (1961) AKA "Taste of Fear" starring Susan Strasberg, Ann Todd, Christopher Lee and Ronald Lewis is an excellent thriller from Hammer Films. A wheelchair bound woman, Penny Appleby (Strasberg) returns to the French Riviera to her father's estate after a 10 year estrangement. When she arrives, her step mother Jane Appleby (Todd) informs her that her father is away on business and doesn't know when he will return. 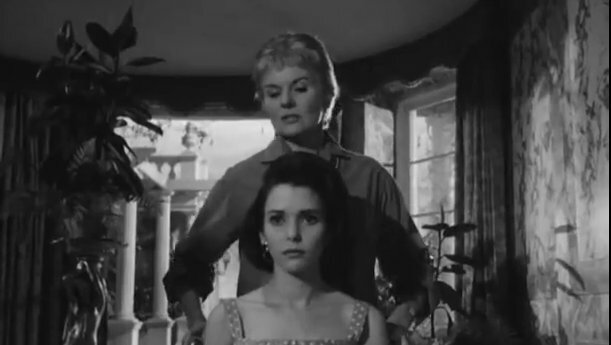 Shortly after arriving, Penny starts to see her dead father in different areas of the house. No one will believe her though. Bob (Lewis) the chauffeur becomes Penny's confidant and together they try to figure out what is happening. This thriller has more twists than you can imagine! Just when you think you know what's going on, you'll discover it's something else completely! 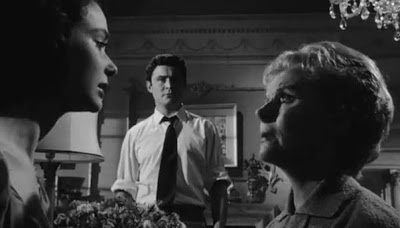 The film is gorgeously shot in black and white and the rich estate and beautiful location shots becomes even more mysterious with the use of darkness, light and shadows. This is a must see classic thriller!